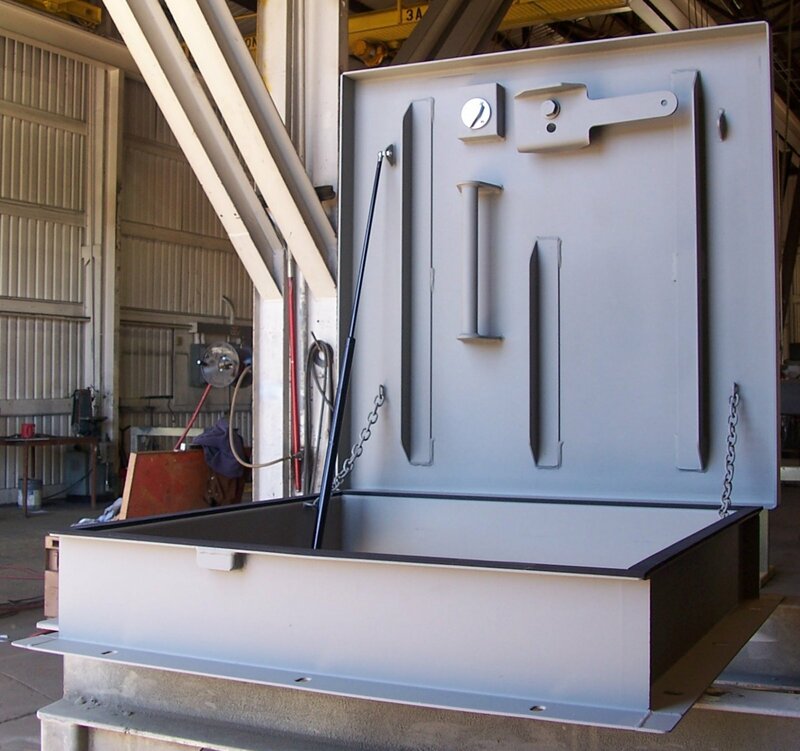 In use worldwide – we’ve built many of these hatches for military, industrial, and embassy installations! These hatches are made to bolt down on the top of a safe room or bomb shelter. The frame height is just under seven inches – unless you get the viewer option, then it will be two inches higher to allow head room when looking out the viewers. This hatch features a riser that can be ordered from 28 inches all the way up to 43 inches so you can size it to match the backfill depth of your underground shelter. 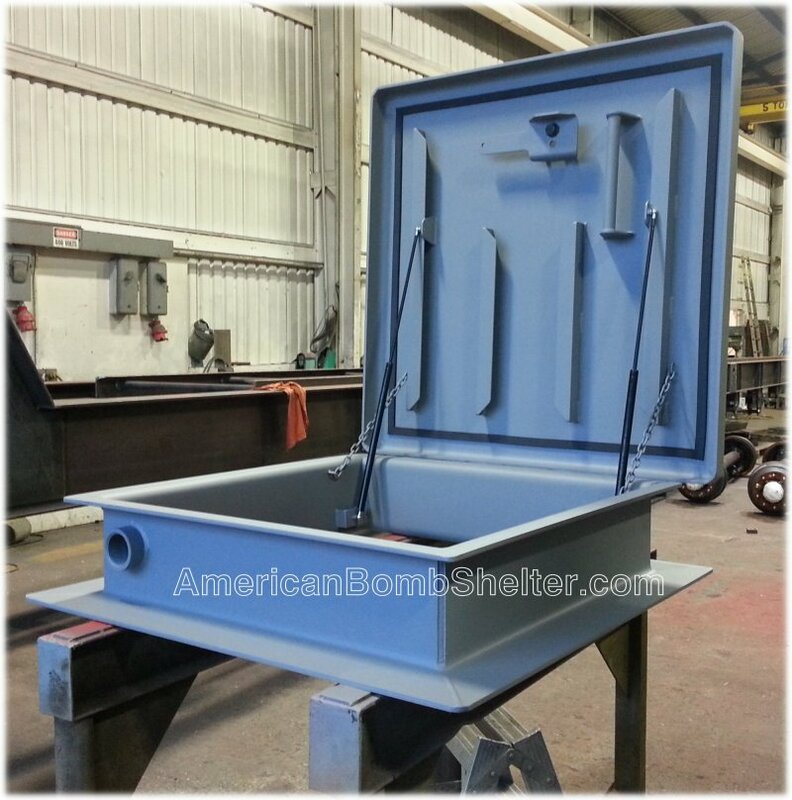 We build custom ballistic hatches to order. This is a 36 by 36 inch roof hatch that features UL 752, level 8 ballistic protection (7.62 NATO ball) on both the lid and frame. 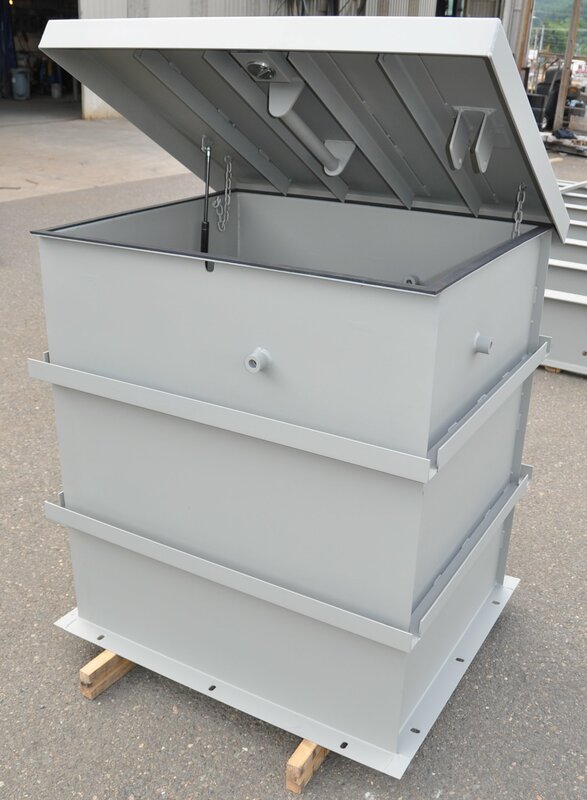 Contact us if you would like a quote on one of these bullet resistant hatches. We build custom ballistic hatches to order. This is a 42 x 60 inch powered hatch. We’ve sourced a nice 12 volt hydraulic power supply that opens and closes the hatch lid with authority! 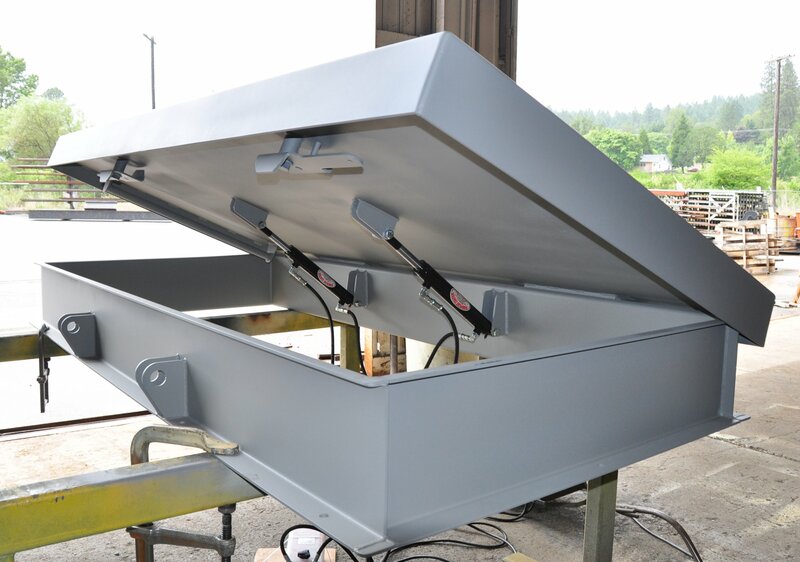 Please contact us if you are interested in a hydraulically operated hatch. We’ve placed a lot of these hatches in industrial applications. If you have an application that needs to protect from, or to contain a detonation, please contact our sales department.